Not the prettiest picture, but I was in a hurry to eat it while still warm! In Spanish these are called platanos maduros. The first time I had them was in a Cuban restaurant in Miami. I loved them so much I craved it for the rest of the trip. They are SO easy to make, it doesn’t even really need a recipe. Choose plantains which are dark yellow and starting to blacken in spots, but still firm. Peel and slice on the diagonal to get more surface area, abt 1/4 inch thick. Melt the butter in a saute pan and cook on medium heat, a few minutes per side, until they are light brown and cooked through. The brown means the natural sugars in the plantain have caramelized and thats what makes this sooo good. Then, if you are feeling really cheeky, add some brown sugar or caramel to the still hot pan (after removing the plantains) until it has melted. 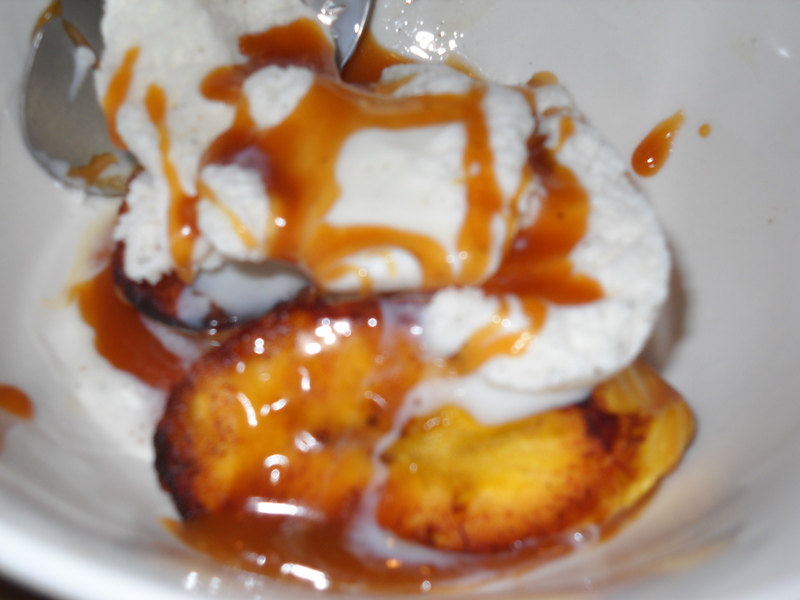 Top the plantains with ice cream and drizzle caramel sauce on top. YUM! You can even tell yourself its sort of healthy, because there is fruit! 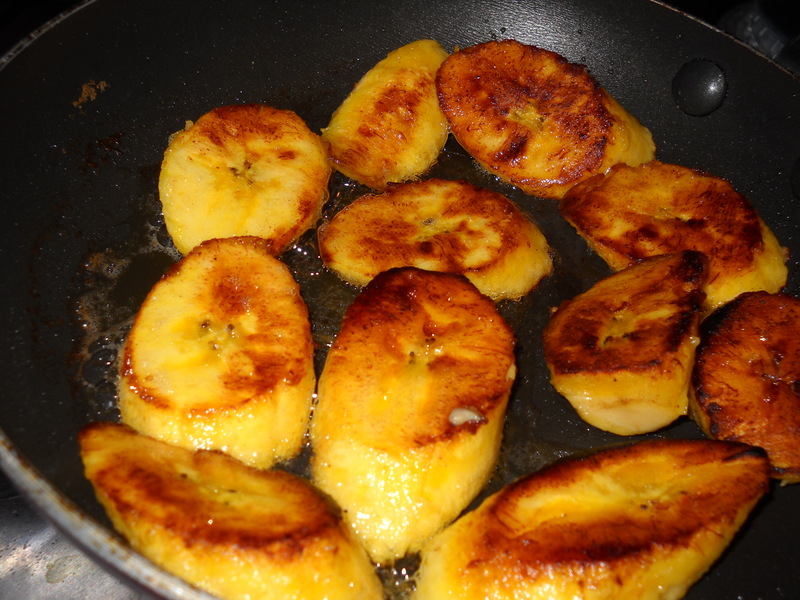 Also check out this site for more ideas with fried plantains.